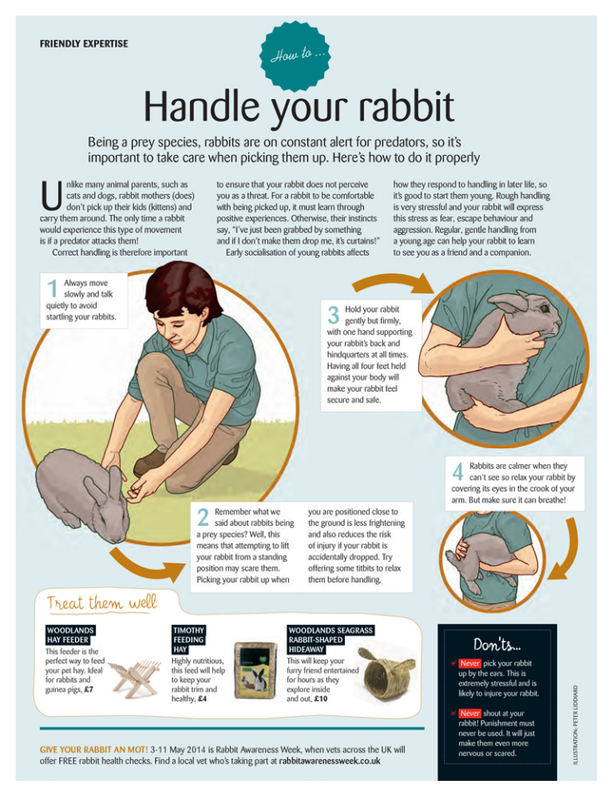 How to Handle Your Rabbit, by Pets at Home VIP Magazine. I don’t own the image, it’s copyright to Pets at Home, this post is not sponsored and no affiliate links, I just thought it would be a useful resource for people with rabbits who aren’t members of Pets at Home VIP club (if you live in the UK, I strongly recommend you join them because it’s free and you get loads of benefits such as discount vouchers and free magazines with useful information like the infographic above). You can join in any Pets at Home store or online. Would you ever get a rabbit? Have you already got one?